In the heart of the west lives a vast, untouched and priceless gem. 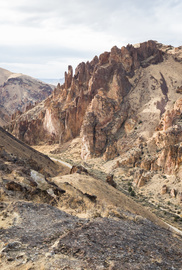 The Owyhee, a wild place where those who visit leave with something more than they arrived with - whether a connection to a simpler time, youthful memories reignited, or a source of hope and strength. It has been here as long as time, raw and perfect, but its uncertain future now lies in our hands.